Black Culture Month Cultural Figure of the Day: Robert Smalls – Expanding your culture, one touch at a time. Robert Smalls was a slave, turned pirate, turned politician. He was a slave for many years, but during the Civil War he escaped the plantation with his family and commandeered a Confederate transport ship. He was the captain of this ship, and led himself, his family, along with other slaves from his plantation, to freedom in Charleston, South Carolina. After gaining freedom, he founded the Republican Party of South Carolina. From there, he used his voice to help convince President Lincoln to accept black soldiers into the Union Army. There are many acts of courage that helped integrate America, and Robert Smalls’ actions should not go unnoticed. Not only did he fight for what he believed in, but he became a pirate to do it. Awesome. 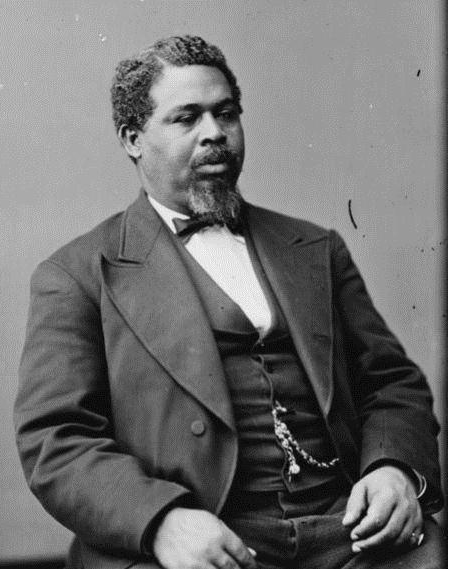 Robert Smalls: Cultural Figure of the Day.